A Swiss omelette is something different. It is a bit thicker than a traditional egg version because of the eggs, milk and flour used in the mixture. In fact, it is similar to a pancake but thinner. My vegan version uses silken tofu, a starch-flour mixture, soy milk and some seasoning. 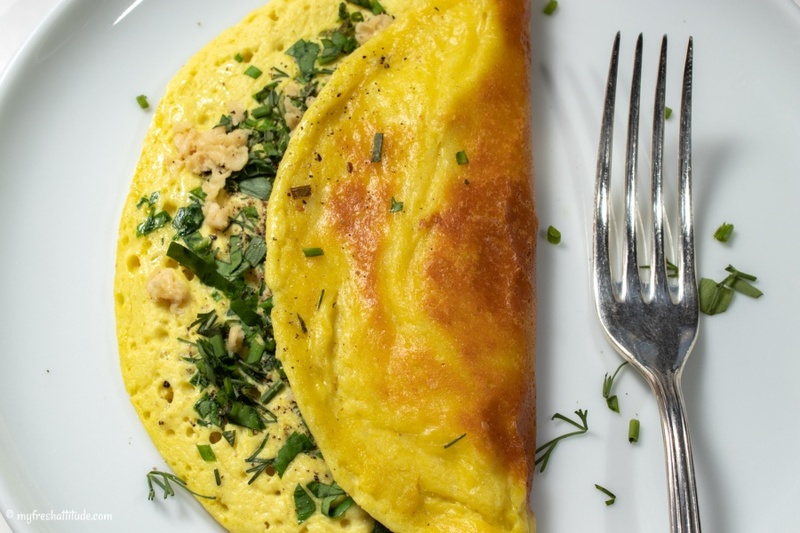 It’s delicious filled with herbs and enjoyed as a light lunch or brunch. Best of all, it is simple to make.